Protons, as positively charged hydrogen ions, move very rapidly in water from one water molecule to the next, which is why the conductivity of water is relatively high. The principle of proton conduction in water has been known for 200 years and is named the Grotthuss mechanism after its discoverer, Theodor Grotthuss. It is based on the assumption that it is not that a single specific proton moving from one molecule to another; instead, there is cleavage of bonds. One proton docks onto a molecule and this causes another proton to leave that molecule and bind to another molecule somewhere else. This proton exchange mechanism has been compared to a 'bucket line' to explain the rapid diffusion of the individual protons. However, this concept oversimplifies the situation and belies the complexity of the structure of water. Researchers from Zurich and Mainz have now been able to analyze the mechanism in more detail using theoretical calculations and have shown that the currently accepted picture of proton diffusion may need to be revised. 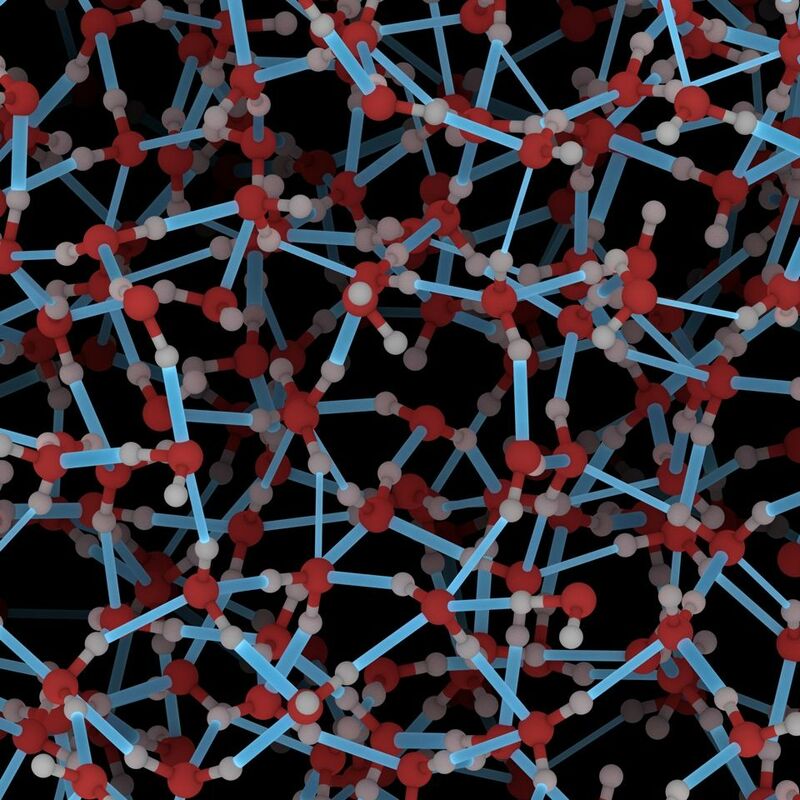 "The simulation shows that the crossover from one water molecule to the next occurs more quickly than previously thought and then there is a rest period until the next crossover," said Professor Thomas D. Kühne of the Institute of Physical Chemistry at Johannes Gutenberg University Mainz (JGU), describing the results. These were published online on July 18, 2013 in the journal Proceedings of the National Academy of Sciences. "We show that the diffusion of protons and hydroxide ions occurs during periods of intense activity involving concerted proton hopping, followed by periods of rest," wrote primary author Ali A. Hassanali of the Swiss Federal Institute of Technology Zurich in the publication. In the model of proton diffusion that researchers have now developed, the hydrogen bridge network is equivalent to an aggregation of closed rings. The resulting proton chains serve as a 'road' in the hydrogen bridge network that make possible long proton jumps across multiple hydrogen bridge bond formations. 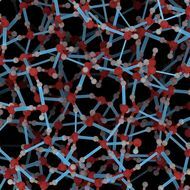 "The water molecules 'dance' around each other until they achieve an energetically favorable status. Only then will a proton hop along the 'road' to another molecule," explained Kühne. As a result, there is temporary formation of protonated water molecules with three protons. In addition to the relevance of proton transfer in aqueous systems, the results may also be applicable to important biological systems such as enzymes and macromolecules.